​Did you know there are basically three reasons you could be discharged from a Nursing Facility or a Personal Care Home and even then we could fight the process. The three reasons for discharge are Non Payment, the Health or Safety of others is endangered or your Level of Care (LOC) has changed. A facility is REQUIRED to give a resident a WRITTEN 30 day notice of intent to discharge. At this time the resident has the option to appeal. Residents are encouraged to contact their local Ombudsman and appeal their discharge. It is also the responsibility of the facility to find appropriate placement upon discharge. If you have any questions about the discharge process of residents please contact Cindy Tabor, Pennyrile District Ombudsman, at 300 Hammond Drive Hopkinsville, KY 42240 or by phone at 270-886-9484 or email at [email protected]. Providing community education on issues and concerns of long-term care residents. Providing in-service training to facilities on issues concerning residents care and their rights. 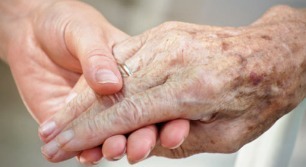 Offering consultation to residents and their families on subjects related to long-term care. The Ombudsman program was federally mandated by congress in 1978. The Pennyrile Area Program began in 1987. The Ombudsman program needs certified volunteers and friendly visitors. You can make a difference in the life of a long term care resident. By spending as little as one hour a week visiting residents in nursing homes or personal care homes you will experience tremendous gratitude. If you are interested in volunteering for the ombudsman program, please contact Cindy Tabor.